One cold morning, a week or so back, I took a drive from my cottage, just a mile from the Canada border to visit a little place I had only ever heard of in the past. This spot, a ski mountain and town, has graced the screens of past NBC or ABC Olympics as I watched haplessly from my meso-America abode. Burke Mountain, Vermont… Burke Mt., or just Burke. As a snowboarder, I’ve heard it mentioned in reference to competitions and sweet powder days. What I find is totally cool…. A little known gem nestled on the fringes of Vermont’s Northeast Kingdom, Burke Mountain boasts some of the regions best kept secrets. The town of East Burke has the charm and quaintness of any Vermont ski town and is home to Burke Mountain, where over 50 Olympians have made their home throughout the years. Burke offers many choices of lodging and dining, all with the aire of what a true north Vermont experience is about. Located on the Vermont/New Hampshire border, the area offers moderate to challenging terrain for all disciplines of winter sports. The KINGDOM TRAILS NORDIC CENTER at Burke Mountain is a partnership between the mountain and Kingdom Trails Trail Maintenance Organization. It is a hidden outpost that stands alone way back a dirt roads idea of a dirt road. Upon my arrival there was but one other vehicle, a Jeep that had stickers from Maine on it. Kingdom Trails is responsible for the upkeep and preservation of numerous recreation trails throughout the Northeast Kingdom. With 20 to 30 Nordic Trails kept for snowshoeing and x country, 20 of which are groomed, this trail network is worth your dollar in your search for a Northern Vermont snowshoe excursion. The Kingdom Trails Trail Network at Burke is 25 percent Green, 60 percent Blue and 15 percent Black. It’s enough terrain for the family to be happy. Be sure to bring your own snowshoes and skis, because rentals are one thing Kingdom Trails doesn’t do. For that we will send you down the street to East Burke Sports or online at eastburkesports.com, where you will find a complete line of rentals for the whole family. 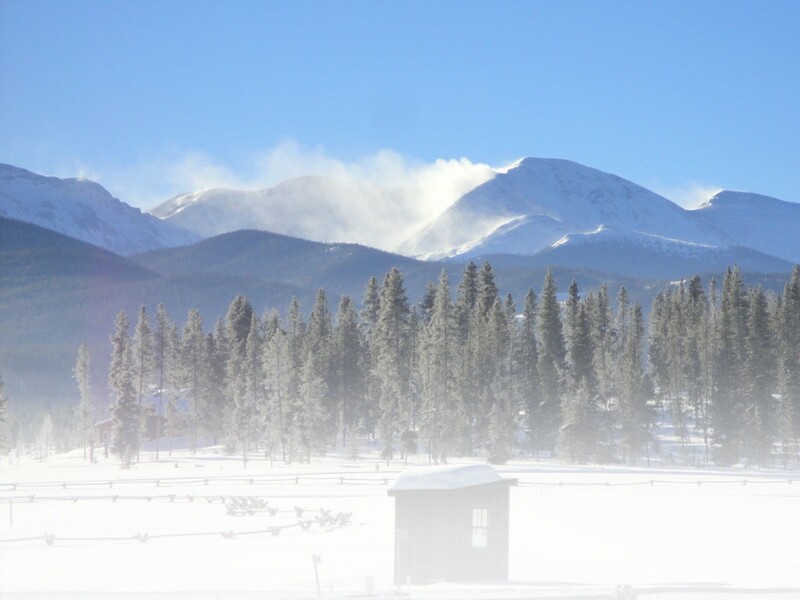 Tickets for the Nordic Center are one thing they do provide at Kingdom Trails Hidden Outpost. These coveted little admissions can be purchased in a number of ways. I made you this little chart to help. Kingdom Trails also offers Snow Biking, which I suppose the art of riding a bike on the snow and terrain. That is pretty gnarly, I suppose… Each year on these trails is a great time to catch one of the east’s best sled dog races. Using the far northeast trails of the Kingdom Trails trail networks, the mushers and their teams will compete for prizes and the title of champion. There are many choices of lodging all along the base of the Burke access road. So many choices that I can even begin to recommend where to go. The good folks at the local chamber of commerce are charming and will likely guide you to the lodging of your choice. You can call them at 802-626-4124 or visit the Burke Chamber of Commerce at: www.burkevermont.com. You can find the big mountain at Burke here: http://www.skiburke.com. You can get to Burke by road, which is pretty cool. The highways are close and it’s only a couple of hours from Boston and New York. Follow I-91 into Vermont and exit in Lyndon. Coming from the north, I-91 south from Canada to Lyndon. Follow the signs for Burke and before you know it, you will be in East Burke, which is where all of the magic happens. Burlington International Airport and Manchester Airport in New Hampshire are about 75 minutes away. Book your stay in East Burke, dine in style at any of the many local restaurants and enjoy easy access to all the True Northeast Kingdom snowshoeing and cross-country skiing experiences your special little soul might desire. This entry was posted in Destinations, Features, Homepage Featured by Chad Smith. Bookmark the permalink. M. Chad Smith lives in Northern Vermont, along the border in to Canada. Reach him at president@unboundground.com. that is beautiful country. I love the mountains.